In the series, “Building a Business: Conversations with Entrepreneurs,” with Dr. Corinthia Price, CEO and Founder of Workforce Career Readiness™ Dr. Price shares the life-lessons of entrepreneurs. I asked them a variety of questions about success, advocacy, work-life balance, philanthropy, and anything else in between. Branding is one of the most important aspects of any business, large or small. It's the foundation of giving your organization a voice, identity, value, and awareness among consumers. But what exactly does "branding" mean? According to American Marketing Association, a brand is a name, term, design or symbol that identifies one seller’s goods or services as distinct from those of other sellers. Simply put, branding is a strategy designed by companies to help people quickly identify your products and organization. This gives the consumer a reason to choose your products over the competitions. It tells them what they can expect from your products and services. Your brand is derived from who you are, who you want to be, and who you want people perceive you to be. “Humanizing” a brand means putting a relate-able human voice and personality within a brand’s image. The Chi Group is a branding agency that creates versatile experiences around your brand. 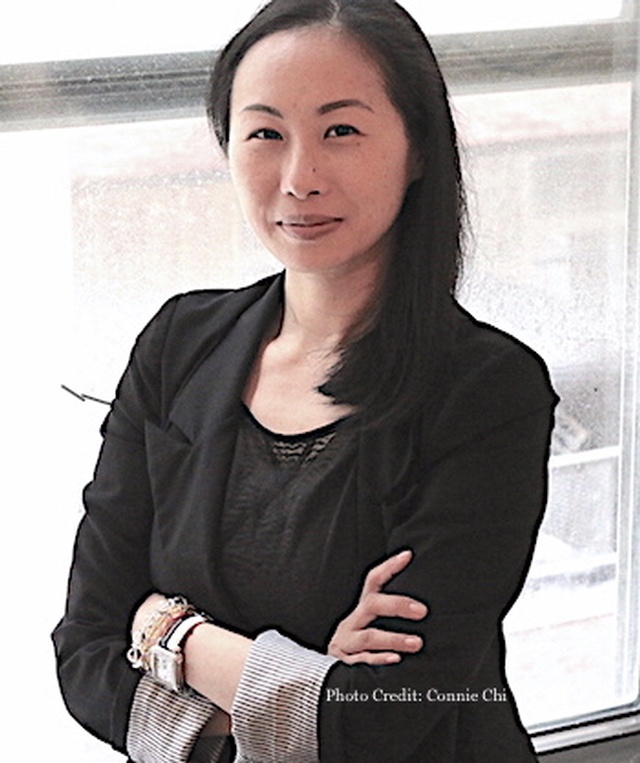 Founded in 2015 by Connie Chi, The Chi Group focuses on humanizing brands in today’s competitive landscape. They work with brands looking for unique ways to increase awareness through out-of-the-box strategies, collaborations, and experiences that help drive your brand’s market share and revenue. 1. How did overcome doubt after the failure of your first three business ventures? I’m not going to lie to you, I did doubt myself. When you fail, its human nature to beat yourself up. When a business fails it’s like a break up. You have to give yourself time to waddle a little bit. You pick yourself up and do it all over again. There is a lot of freak out moments. My personal mantra is “there’s no such thing as “can’t” or “impossible”. It’s just about asking the right question and finding the solution. 2. How has your company evolved from its inception to where it is today? Get out of your comfort zone. That is the biggest evolution of business. It’s key to building a business and success. In the beginning, I was petrified to ask for business. Now I have no issue with asking. A lot of us, when a running business, are all about putting our best foot forward. We constantly tell ourselves, I have to put out A+ work. That is the biggest mistake. We spend so much time being perfect we end up not producing. Try creating B+ work because your B+ is maybe somebody’s A+. The goal is to help somebody. If that is truly your intentions then it will resonate with someone. 3. How do you spend your day? Every single day is something different. I spend a lot of time making phone calls and reading and responding to emails. Most importantly, I spend my time reading. I section out time every day to read. I am currently writing a book. The title of the book is “Branding without a Brand”. It teaches startups and entrepreneurs how to create a brand. The book will be out by Fall 2018. It will be available on Amazon and Barnes and Nobles. 4. What would you tell your younger self? Invest Now. Do some investing, whether it’s in stocks or real estate. Start early don’t wait until later. Get into personal growth. Start it early so that it becomes a lifetime habit. Go vegan. Going vegan does wonders for the brain. 5. Name a person who has had a tremendous impact on you? Overall, my mom is my lifetime inspiration. Growing up she never made it easy for me. She forced me to think for myself. Sergio Delavicci is another person who had a tremendous impact on my life this year. He has been the driving force that taught me the lesson of vulnerability. His story has inspired me. 6. What have you learned so far this year that was a surprise to you? The biggest lesson I have learned so far is the power of vulnerability. I never realize how powerful it can be. It’s very much underrated. When you are authentically able to be vulnerable, people can truly connect with you. People have an opportunity to share stories in a safe environment. Vulnerability is about showing up and being seen. 7. What is the greatest challenge you’ve faced with the company? How do I get more clients? How do I get more cash flow in the business? These are the biggest questions entrepreneurs have. These questions keep me up at night. 8. What Podcast and books are you currently reading? Dr. Corinthia Price is the CEO and Founder of Workforce Career Readiness™. She is an international entrepreneurship advisor and workforce development analyst who specializes in workplace skills and competencies. The Trucking Crisis: Is there a Solution?